Now that September is nearly done, we are officially in event-season mode. And Alpio’s @ Troon event center in Scottsdale offers a unique way to celebrate for parties of two to 150, whether you’re ringing in the holidays, a birthday, a reunion, a bar/bat mitzvah, a fundraiser, a company party or more. 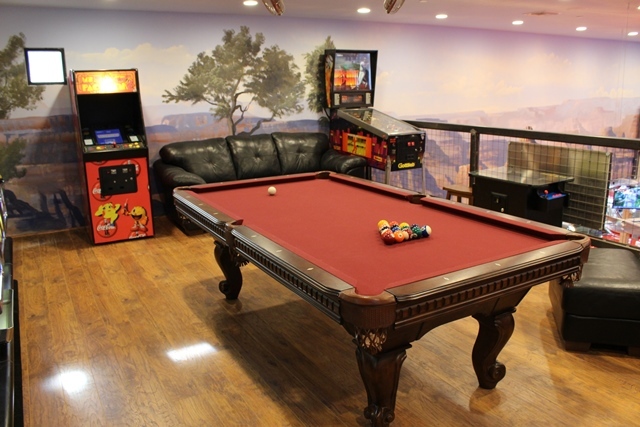 Guests can also feast their eyes on memorabilia, a vintage gas pump, stunning murals and much more. Internet hookups are available for your convenience, as well as an eye-popping 80-in. screen and AV equipment for your meeting or entertainment needs. The one-stop-shop venue can arrange music, catering–anything needed for an event–and guests are invited to bring their own alcohol.